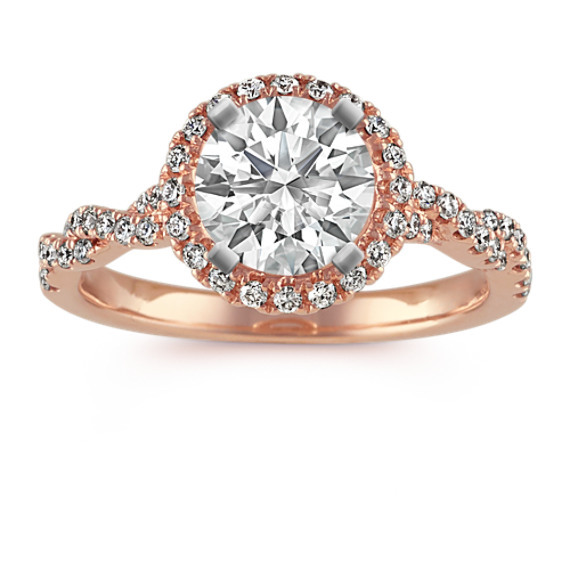 Halo Twist Diamond Engagement Ring in 14k Rose Gold | Shane Co. I LOVE MY RING!! So dainty but still a sizeable halo that looks great with my 0.9 ct diamond. 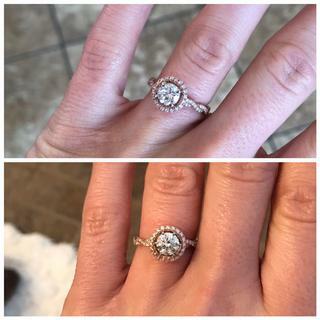 I also had them change the head from a 4-prong to 6-prong to emphasize the round shape, the 6 prong elevates the diamond up more but I think it looks great, more impressive even! 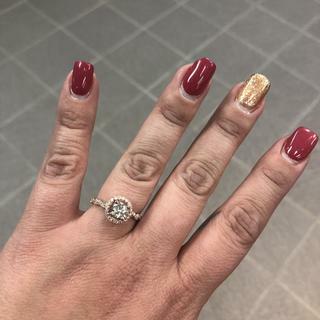 I could not be happier with this sweet ring! Top is a 4-prong head, bottom is a 6-prong. Both look great! I absolutely love my ring! It’s perfect. I thought that the stone would be to high off of my finger and get caught on things, but it doesn’t.